“Sunelle IGT 2016”, Italy-Abruzzo, VEGAN and ORGANIC, ABV: 12.5%. Pinot Grigio. Pairing: Light and fresh food. Librandi 2017, VEGAN, Italy – Calabria, ABV: 12.5%. Greco – 100%. This wine show the great character of the easy drinking Greco style. Crisp, food friendly, lemony with hints of apple. Fresh and fruity wine with a good vibrant finish. Pairing: Shellfish, Vegetarian, Appetizers and Snacks. Italy – Veneto ABV: 12%. 100% Sauvignon Blanc. A bright pale lemon yellow in the glass with a nose showing elderflower, honeysuckle and passion fruit. On the palate it refreshes with delicious minerality and a gossamer-light body. Pairing: White meats, Green vegetables, Fish. Tombacco, Italy-Abruzzo, IGT 2015, ABV: 13.5%. Pecorino 100%. Pairing: Fish, White meat, Truffle-based dishes, Shellfish, Medium-seasoned cheese. VEGAN, IGT 2016, Italy-Tuscany, ABV: 13%. This wine shows notes of fragrant blossom, citrus fruit & aromas characteristic of this varietal. It is vibrant, refreshing & fruity with a beautiful acidity and undertones of minerality on the finish. Pairing: Pasta, Vegetarian, Appetizers and Snacks, Fish, Cured meat. 2017 VEGAN, Italy -Piemonte, ABV: 13,5%. At least 85% Arneis grapes. Pale straw colour, fresh and persistent bouquet of traditional and exotic fruits with a nice spicy note; dry, pleasant palate of great freshness delicate wine with remarkable balance and finesse. Pairing: Hors d’oeuvre, Fish. Excellent as aperitif. Italy-Marche, ABV: 12.5%. 100% Passerina. This wine has a rounded character but retains a high-edged acidity. In the mouth it has a zesty lemon character layered over softer mandarin and orange notes. Pairing: Fish, Pasta, White meat, Fresh cheese. VEGAN, Italy – Veneto, ABV: 11.5%. Corvina – 40%, Rondinella – 40%, Molinara – 20%. Glowing pink in colour, with a floral bouquet, it has a fresh, soft flavour. Pairing: Appetizers, Soups, Light dishes. DOC 2016, VEGAN, Abruzzo, ABV: 13%. Montepulciano – 100%. Ruby red wine, with light purple shade. An intense smell of red berries, spices, full-bodied taste, dry, harmonious, balanced tanning. Pairing: Grilled meat (Pork, Beef and Lamb) and with Pecorino cheese. DOCG 2016, Italy – Tuscany, ABV: 13%. Sangiovese – 80-100%. Bright ruby colour with a highly winey, violet smell. Taste is harmonious, sapid, gently tanning, gets velvety with age. Pairing: Roasted meat, Wild game, Seasoned cheese, Tasty first courses, no spicy food. Puglia, ABV: 13%. Negroamaro – 100%. A dark ruby red wine with an intense, fruity smell and a slight note of tobacco. Earthy bitterness, full-bodied, dry, dark berry notes. Pairing: Lamb, most meats; versatile. DOC, Planeta, 2017, Italy-Sicily, ABV: 13%. Pinot Nero – 100%. An intense ruby red wine with a fruity smell, and a taste cherry and prune, notes of berries taste. Pairing: Red meat, Roasted meats and Seasoned cheese. DOCG2016, Italy – Tuscany, ABV: 14%. Sangiovese – 85% min. Ruby red with an intense yet delicate, pleasant smell. Taste is close to Brunello, dry, with stone fruit hints, warm and with lightly tanning. Pairing: Meat stews, Roasted pork, Game. DOC 2017, Friuli, ABV: 13.5%. Pinot Nero. Transparent ruby red with a delicately fruity and fresh smell. Taste is well balanced, delicate, has a good persistence, slightly acidic, low tanning. Pairing: Meat, Game, Seasoned cheese, Pasta with Bolognese sauce, Charcuterie boards, Chicken. DOC 2016, Italy – Veneto, ABV: 14%. 70% Corvina, 15% Corvinone, 10% Rondinella, 5% Molinara. Intense ruby red with a complex smell – dark cherry, prune jam, spiced notes of vanilla, leather, and slightly of toasted coffee. Taste is full-bodied, compact yet elegant and harmonious. Pairing: Roasted meats, Wild game, Seasoned cheese, Stews. Piemonte DOC, Fontanafredda, Italy – Piemonte ABV: 13.5%. Barbera – 100%. An aromatic, spicy nose of red fruits and damsons. Medium bodied and soft, with balancing structure to the blackberry and morello cherry flavours, finishing rounded and supple with a hint of liquorice. 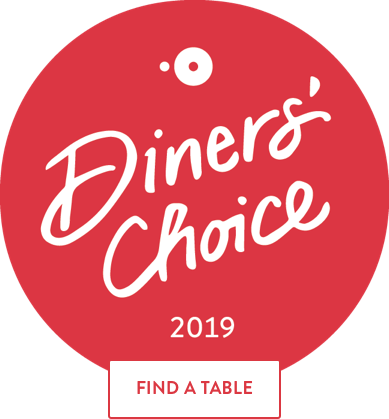 Pairing: Lamb dishes, Italian-style stews and braises, Italian-style sausages with lentils, or in a Pasta sauce (alla salsiccia), Pasta with meat and cooked tomato sauces such as Bolognese. Langhe DOC, Ascheri, Italy – Piemonte, ABV: 14%. Nebbiolo – 100%. Ruby red colour with garnet red nuances elegant bouquet, spicy and floral with velvety notes of violet and rose a pleasantly harmonious, remarkably persistent, soft wine with a dry palate. Pairing: Beef, Lamb, Game, Poultry. DOCG 2012, Italy – Tuscany, ABV: 14.5%. Sangiovese – 100%. Intense ruby red, with an intense smell, with notes of cherry, spices and geranium. Taste is dry, warm, slight tanning, robust, harmonious, persistent. Pairing: Complex meat dishes, Tuscan Pecorino cheese, Game, Mushrooms and Truffles. DOCG 2013, Piedmont, ABV: 14%. Nebbiolo (100%). Grainy red with orange reflexes. Intense and persistent smell, with secondary notes of violet and vanilla. Incredible elegant balance between sourness and tanning and softer notes. Pairing: Red meat (stewed and roasted), Game, Truffle and Hard cheese. 2014, Veneto, ABV: 15%. 50% corvina, 20% corvinone, 20% rondinella, 10% molinara, oseleta, Turchetta. Ruby red with garnet reflexes. Spiced with notes of cherry, dark cherry, raspberries, cocoa and balsamic. Taste is warm, full-bodied, structured, elegant, fine and balanced. Pairing: Wild game, Roasted meat, Seasoned hard cheese. Peroni is the number one lager brand in Italy and has been for over 150 years. This premium beer is the result of the dedication to brewing of generations of the most qualified braumeisters. Brewed using the finest spring barley malts and hops, its taste is slightly bitter. The depth of flavour brought to the palate is from the local ingredient of Toscana – Maremma Barley. This barley makes a beer of real character and distinctive taste, with the intense colour of honey in glass and the aroma of chestnuts with a hint of dry grass and pine needles. The fragrance of citrus fruits that Sicily is so renowned for really come to the for in this beer through a combination of rich intense aromas. The secret ingredient is Zagara, orange and lemon blossom typical of Sicily, where the trees flower mostly in spring. The first non-alcoholic Italian beer, born from the tradition and quality associated with Birra Moretti. It is a blonde beer of low fermentation, obtained by a wise mixture of water, barley malt and selected hop flowers. Light and pleasant to drink. Kopparberg Cider comprises of a refreshing range of apple, pear and fruit ciders. These are made from the fermentation of apples or pears and the finest soft water. Smooth body, but also gives the beer a wide spectrum of malt flavor ranging from slightly sweet to caramel to slightly roasted. Boston Lager pours with a short but dense, white head. The body is clear and dark golden in appearance. The nose is full of floral, spicy hops. This continues into the first taste. It has a malty sweetness that finishes with a nice hoppy whack. The bitterness lingers and leaves a refreshed feeling. 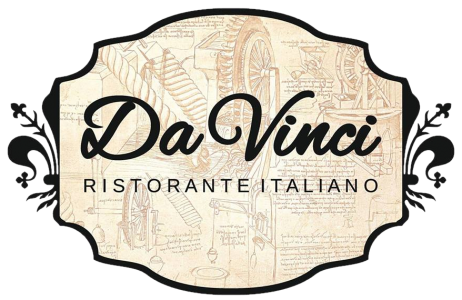 Thank you for choosing to eat at DaVinci! We hope you are fully satisfied with your meal and the drinks you ordered. Our suppliers are carefully chosen and we handpick the drinks we serve in our restaurant. As you probably know, in Italian culture, both food and wines are very important and we prefer to eat the tastiest foods and drink the finest wines. Should this menu not have enough information, please do not hesitate to ask your waitress for details, for pairing suggestions etc. We are here to make sure you have an unforgettable time. You are here because you want to eat a delicious, authentic Italian meal and pair it with a good drink. If you feel like your expectations have not been met, please let us know. If you are pleased with the dining experience, you can tell your friends and/or leave a review on social media. We are present on Facebook, TripAdvisor, Instagram etc. Thank you for your visit and we hope it was good enough to make you come back!